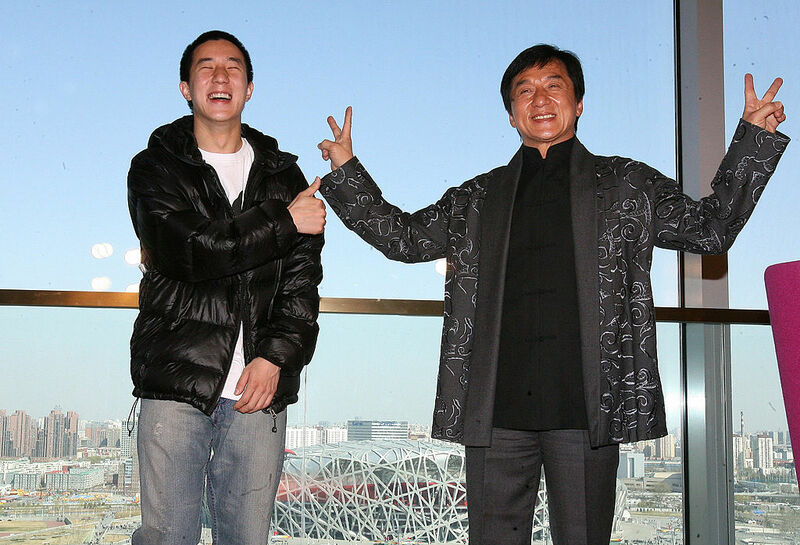 While accepting an award in Beijing back in 2012, Jackie was asked if Jaycee will inherit his massive fortune some day. Jackie stated that he was originally intending to donate half of his wealth to charity and leaving his family the other half but recently changed his will to leave 100% for charitable causes throughout the world. The elder Chan explained: "If he is capable, he can make his own money. If he is not, then he will just be wasting my money." Jackie also expressed regret for not sending Jaycee to the army where his son would have received "life experience and character." If Jaycee wants to continue living an extravagant lifestyle, his career is going to need a boost. Since 2004 Jaycee has appeared in around 20 films, most of which have been major flops. Jaycee's 2012 movie "Double Trouble" became one of the biggest box office failures in history grossing just $9000 at the box office, despite heavy marketing and promotion. He also starred alongside his father in 2010's "1911" which became Jackie's worst performing movie ever. And then there are the legal problems. In August 2014, Jaycee was arrested in Beijing on drug possession charges. Police then found 3 ounces of marijuana in the actor's apartment. Chan theoretically could have faced life imprisonment for "hosting others to consume drugs". Jackie was forced to step in and make a public apology on behalf of his son. Jaycee also made a public apology. He was incarcerated for 148 days before being sentenced to six months in prison. His father refused to use any political connections to help his son out. Jackie Chan is not the only celebrity who plans on giving their fortune to charity instead of their children. Warren Buffett, Bill Gates and Ebay founder Pierre Omidyar are some of the more notable billionaires who have pledged their entire fortunes to charity. Buffett is an especially staunch opponent of what he calls "dynastic wealth" (wealth that is so vast it creates generational dynasties). Buffett refers to anyone who grew up wealthy as a "member of the lucky sperm club" and, like Jackie Chan, firmly believes that if his children work hard enough they can achieve great success the same way he did. Jackie Chan is no stranger to owning private jets, but this time he has dropped $20 million on the latest and greatest in air travel.